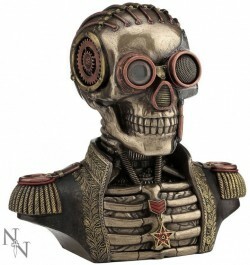 Skeleton Admiral Bust in a popular Steampunk theme. Excellent detail, would make a great display piece. Includes two pull out drawers for secret storage!